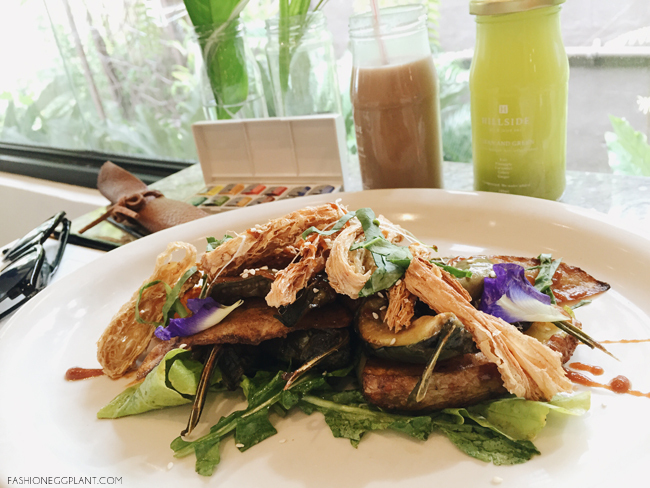 What do you get when you combine art, nature and good food in a single place? 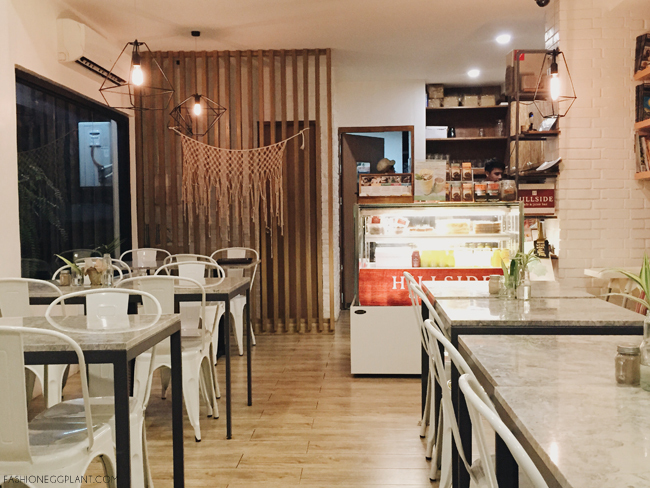 Tucked away neatly in the heart of one of Manila's busiest cities is Hillside Cafe. It's a hole in the wall establishment that takes up a small space adjacent to a garden center which only adds to the charm. They serve fresh, cold-pressed juices, healthy (but delicious :P) food and pastries. 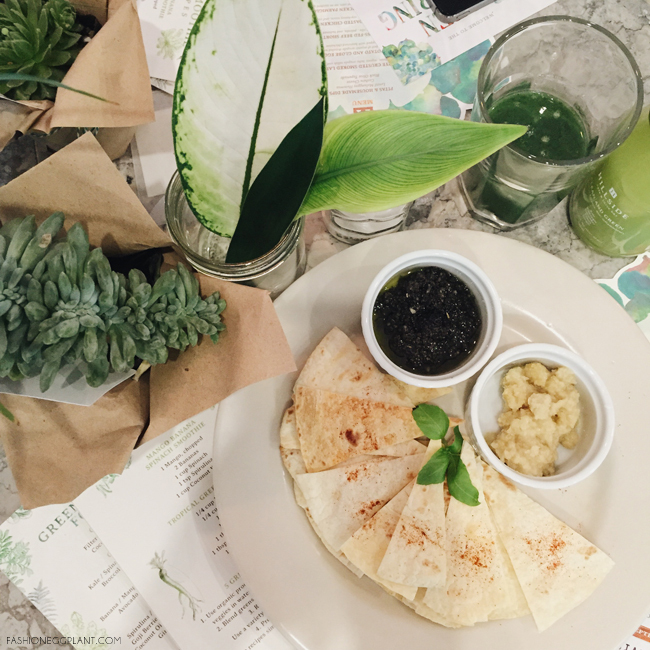 Hillside Cafe and Juice Bar is brought to you by the same people behind Pino, Pipino, Burger Project etc but this time, they partnered with cousin and all-around beach babe Noelle Hilario of Flow Surf, Yoga and Samba for a fresh take on their latest venture. Before I show you the food and a couple of photos from our botanical watercolor workshop, let me share with you first what got me giddy from the invite...THE GARDEN CENTER! 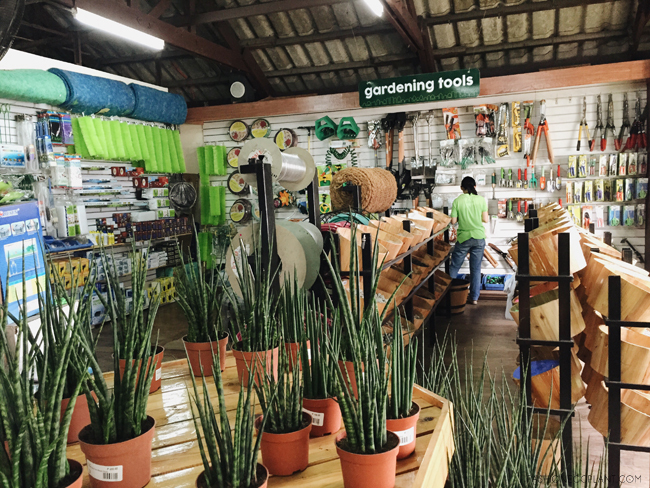 I've always been interested in horticulture but recent events have piqued my interest even more and I've been on the hunt for a one stop shop that has everything I need to help cultivate my grow and here it is! 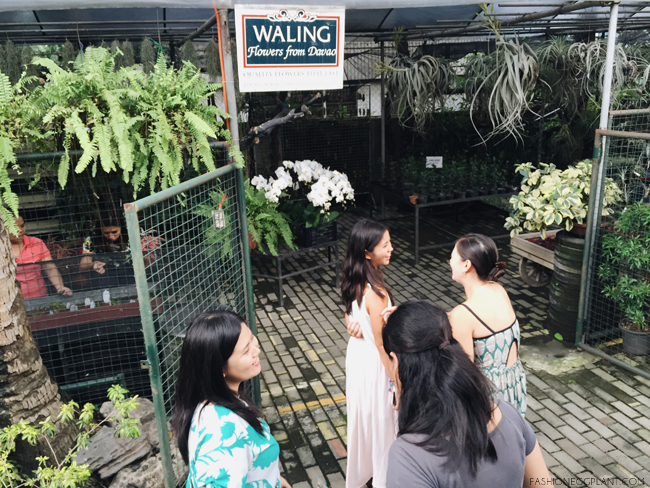 Remember that garden center near the QC circle? I'm not sure if it's still there but I heard somewhere that the local government seized the land? Well, this is where most of the vendors there transferred to set up shop. I personally find it more convenient and less stress to visit. Prices are still very reasonable as well. 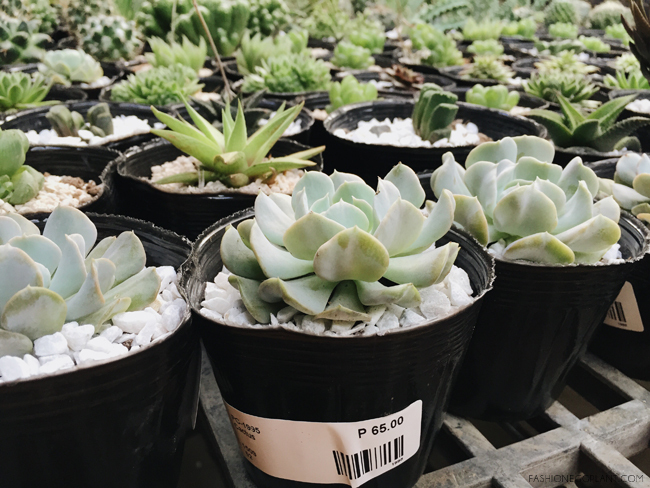 For first time growers, I suggest you skip the succulents and stick with the thorny type. They are much easier to take care of even indoors. 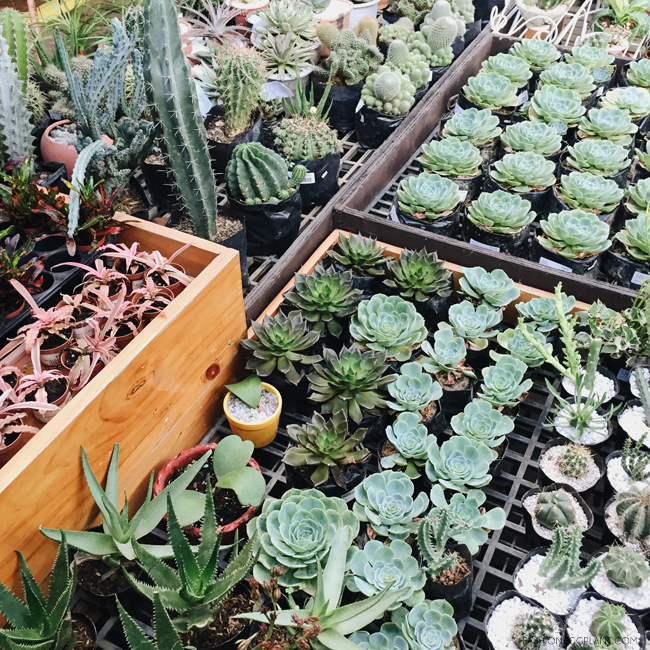 Succulents are extremely prone to root rot and need to be kept outdoors or by a window. The next reason why this afternoon was perfect: Botanical Watercolor Lessons with Life After Breakfast! I've tried charcoal, oil and acrylic in the past but never watercolor. I used to be too impatient for it but now that I'm older, I can appreciate the slow process more. And Alessa makes it really easy to learn with her method of teaching. 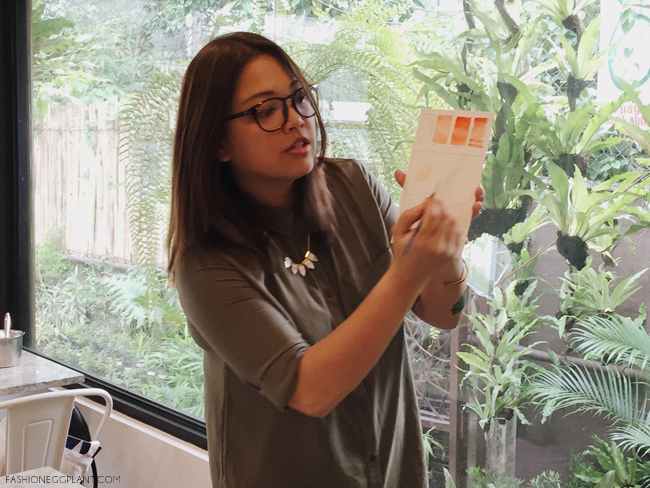 Even first timers will be able to create pretty pieces by following her simple step by step instructions. If you've always wanted to learn basic watercolor or calligraphy, I suggest connecting with her on Facebook for workshop schedules. The same food in Makati/Fort would cost you roughly around P500-700 per plate for an entree but not here. The most expensive item on their menu is around P500 and that's for really good steak already. Most everything will only set you back around P200-P400 and the serving sizes are quite generous. Some even big enough to split for 2. 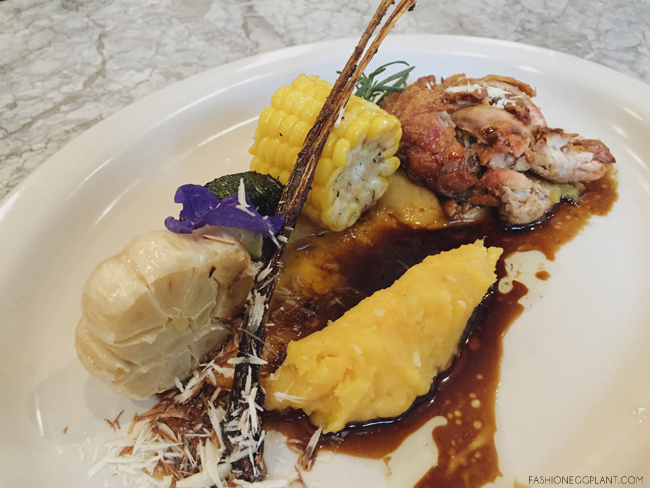 I got to sample several dishes during the event and none were a disappointment. For starters we had crispy pita bread and dips + some roasted potato and globe eggplant. It comes with 2 dips that are made fresh in the kitchen: Lentil Malunggay Hummus Cashew Cheese and Black Olive Tapenade. I'm a big tapenade fan but this time around, it took a backseat for the hummus which was really bursting with different flavors. Definitely not your average blah garbanzo mush. This was pretty good and interesting too. First time to try beancurd chicharon and I didn't miss the pork. The glazed miso and balsamic vinaigrette gave a nice tangy balance to the fried/grilled/fresh veggies. 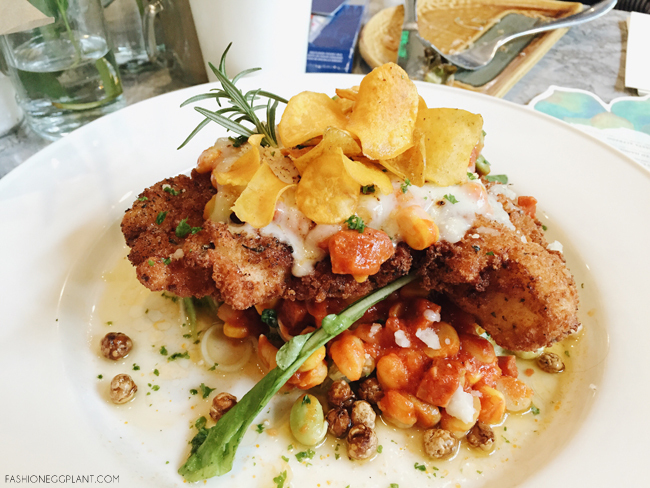 If you feel like pasta, the Chicken Parmigiana is quite satisfying and large enough to share. It's delicious in its own right but when I tried the next dish, it paled in comparison. I would think that breaded white fish is slightly nakakaumay but nooo, it's the exact opposite. In fact this disappeared only moments after it was set down. Another favorite of mine, Organic Roasted Chicken. Served with mashed sweet potato, tapenade, soy honey sauce and roasted vegetables. It's sooo good you can't share. 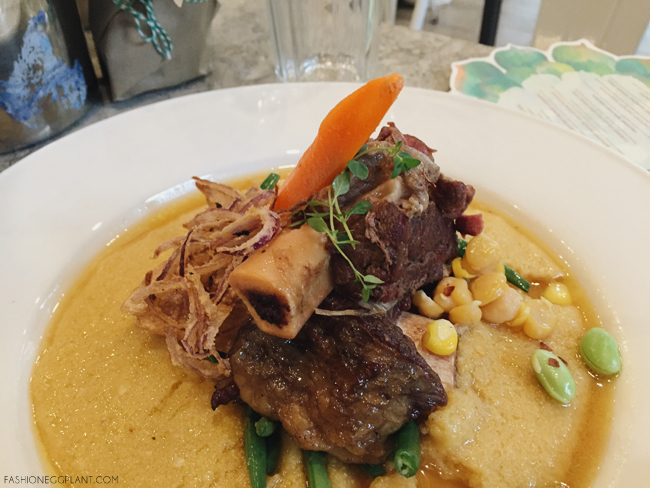 Corned Grass-Fed Beef Short Ribs - braised corned beef short ribs, polenta and buttered vegetables. So much polenta! I love. Usually only get a bit of it in other restos right? But here's a plateful! 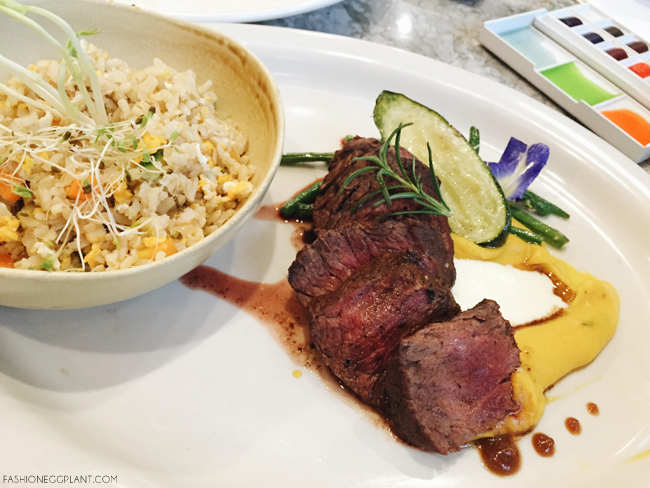 And last, the Pan-Seared Grass-Fed Hanging Tender Steak - served with organic fried rice, pumpkin sour cream sauce and roasted miso vegetables. Again, I can't really tell you much about this one but the name alone makes me want to risk tummy ache and have a bite anyway. Let me just tell you this...If you've never had pasture raised/free-range/organic/grass-fed meat and veggies, they taste 100x better than mass produce. The conscious manner in which they are raised really does wonders for flavor. 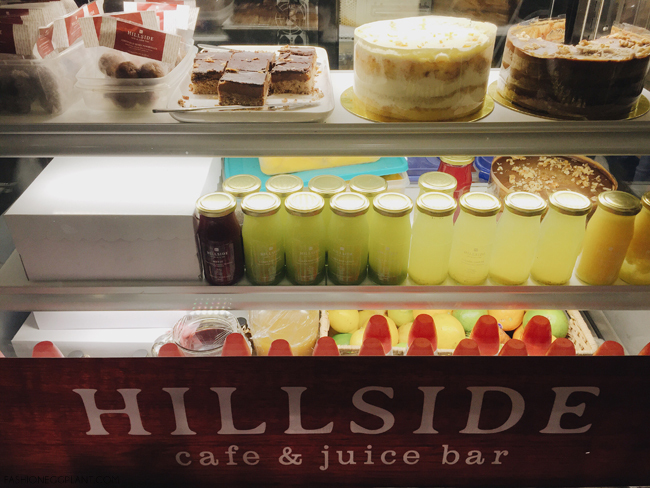 At Hillside Cafe and Juice Bar, you don't have to sacrifice an arm and a leg to enjoy this level of quality and flavor. 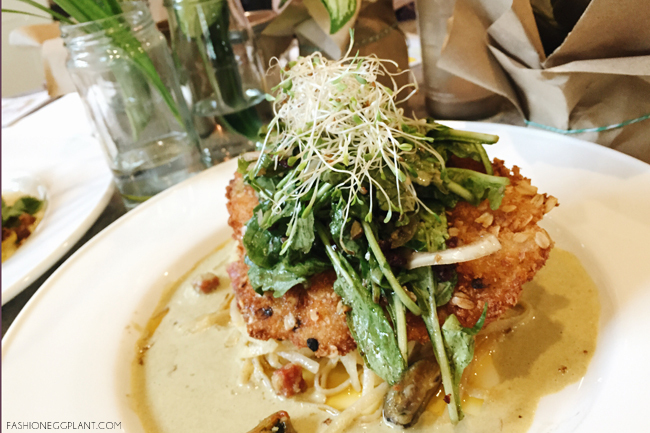 It really is one of the must try restos in the Metro. 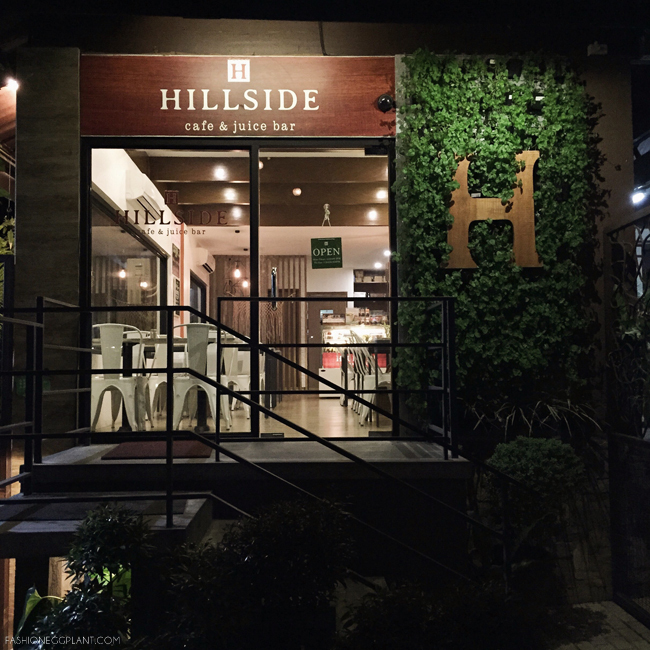 Hillside Cafe and Juice Bar is located at #57 Mother Ignacia Avenue, Quezon City. Oh the food looks so good. And the plants! I'd love to check this place out and go shopping, too, while I'm at it. So far away lang from my home in the south. Sana during out time may NatGeo Museum na! kids nowadays are soooo lucky! campaign on the way aiming to change fashion shopping for good. Wow, that'd be an awesome adventure! First time to see the inside of Nat Geo museum. Cool! Oh sayang I completely forgot about this! Time to buy Progress I guess! Yay, sa QC lang! I've been hearing about this place from some friends, now I'm even more excited to try it out :) I'll make a mental note of your food recommendations :) Thanks for sharing!